As one of the nominated head contractors, Aurora was engaged to design and construct a number of medical suites at the new Wexford Centre, Murdoch. Each of the specialist consulting rooms was unique to suit the type of specialty, which included: Murdoch Ophthalmology, Piers Yates Orthopaedic, Murdoch Plastics and Murdoch Paediatrics. "The Aurora team not only managed to complete the works within three weeks which was ahead of time, but most importantly, were able to do so ensuring minimal disruption to staff. Terry was able to quickly inform himself of our requirements and immediately put together a plan that meant minimal time on-site and therefore less inconvenience for the office staff. He constantly informed my team and the local staff of the progress of the works and of any issues, which were minimal, and dealt with quickly and without effort. Terry was at all-times and remains very co-operative and flexible, and was able to offer sensible solutions and work around any problems encountered during and following the project." "AWE chose Aurora Project Group (APG) to deliver this fitout which included an open plan workspace, some offices, meeting rooms and a breakout area in a brand new building in West Perth. With a tight timeline to work to, APG worked fast and with very good attention to detail to deliver a quality fitout to AWE’s specified design plan, budget and on time. APG have clearly demonstrated their capabilities and professionalism. They have high standards and very strong organisational skills and were able to manage and bring together the various sub-contracting services required to deliver a high quality fitout within a tight construction schedule." "Prior to works commencing on site it was evident that Shane Cary, in the role of Project Manager, had the mindset, attitude and high ethical standards to move the project forwards and ensure that the building was fit for purpose and also a showpiece for Schneider Electric. Attention to client liaison, architectural details, works programming, quality of work and finish, understanding of client requirements and service integration, was exemplary. The site was run smoothly, with a keen focus on both health and safety and practicality. Shane demonstrated great ability and calmness when dealing with ‘last minute client changes’ and was quick to provide practical cost effective solutions to problems when they occurred, rather than simply reporting them. Shane was integral in the successful completion of the project." Attention to client liaison, architectural details, works programming, quality of work and finish, understanding of client requirements and service integration, was exemplary. The site was run smoothly, with a keen focus on both health and safety and practicality. 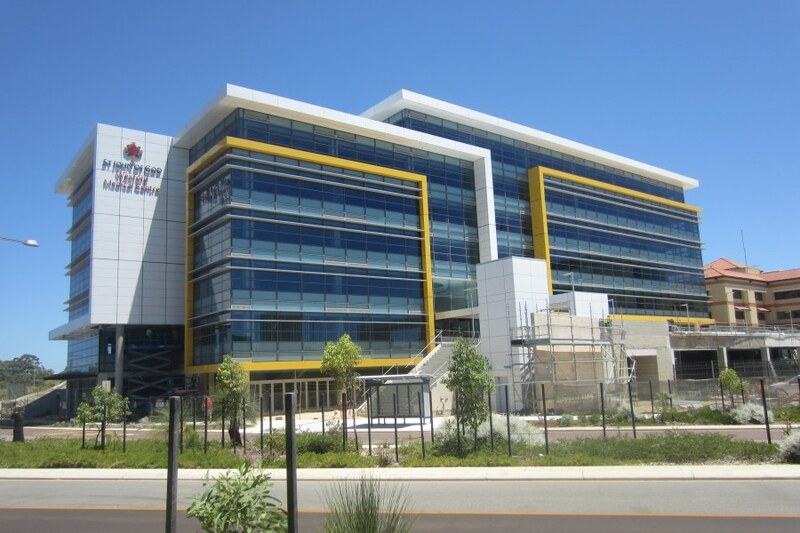 They have high standards and very strong organisational skills & were able to bring together the various sub-contracting services to deliver a high-quality fitout within a tight constructions schedule.